English vocabulary is full of pitfalls that you might not be aware of. Don't let them trip you up. When you want to talk about the influence of one thing on another, effect is the noun and affect is the verb. Weather affects crop yields. Weather has an effect on crop yields. Basically, if you can put a the or an in front of it, use effect. People rarely use accept when they mean except, but often put except where they shouldn’t. To accept something is to receive, admit, or take on. To except is to exclude or leave out—“I’ll take all the flavors except orange.” The x in except is a good clue to whether you’ve got it right. Are you xing something out with the word? No? Then consider changing it. Discreet means hush-hush or private. Discrete means separate, divided, or distinct. In discreet, the two Es are huddled together, telling secrets. In discrete, they are separated and distinguished from each other by the intervening t.
People didn’t have as much trouble with these two before websites came along and everyone started talking about sites a lot more than they used to. A site is a location or place. Cite, on the other hand, is a verb meaning to quote or reference something else. You can cite a website, but not the other way around. If you’re using site as a verb, it’s probably wrong. People sometimes use disinterested when they really mean uninterested. To be uninterested is to be bored or indifferent to something; this is the sense most everyday matters call for. Disinterested means impartial or having no personal stake in the matter. You want a judge or referee to be disinterested, but not necessarily uninterested. Are you talking about showing off? Then you don’t mean flout, you mean flaunt. To flout is to ignore the rules. You can think of flaunt as the longer showier one, with that extra letter it goes around flaunting. You can flout a law, agreement, or convention, but you can flaunt almost anything. Phase is the more common word and usually the right choice, except in those situations where it means “to bother.” If something doesn’t bother you, it doesn’t faze you. Faze is almost always used after a negative, so be on alert if there is an isn’t/wasn’t/doesn’t nearby. Loath is reluctant or unwilling, while to loathe is to hate. You are loath to do the things you loathe, which makes it confusing, but you can keep them clear by noting whether the word has a "to be" verb on one side and a to on the other (he is loath to, I would be loath to), in which case loath is correct, or it can be substituted by hate (I loathe mosquitoes), in which case you need the e on the end. The word wave is far more frequent than waive and has a more concrete meaning of undulating motion. It’s often used for waive, "to give something up," perhaps because it fits well with the image of someone waving something away. But when you waive your rights, or salary, or contract terms, you surrender them. You can think of the extra i in waive as a little surrender flag in the middle of the word. Run the gauntlet and run the gamut are both correct, but mean different things. Running the gauntlet was an old type of punishment where a person was struck and beaten while running between two rows of people. A gamut is a range or spectrum. When something runs the gamut, it covers the whole range of possibilities. 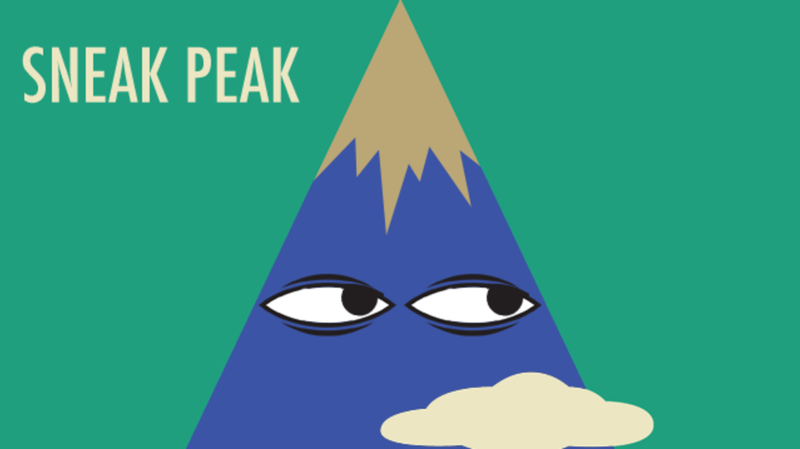 This pair causes the most trouble in the phrase sneak peek where the spelling from sneak bleeds over to peek, causing it to switch meaning from "a quick look" to "a high point." If you imagine the two Es as a pair of eyes, it can help you remember to use peek for the looking sense. Fortuitous means by chance or accident. Because of its similarity to fortunate, it is commonly used to refer to a lucky accident, but it need not be. Having lightning strike your house and burn it down is not a lucky event, but according to your insurance company it will be covered because it is fortuitous, or unforeseen. To refute a claim or an argument doesn’t just mean to offer counterclaims and opposing arguments. That would be to respond or rebut. To refute is to prove that a claim is false. If you refute, the disagreement should be over because you’ve won. If someone accuses you of not having paid for something, you refute the accusation by producing the receipt.